The port of Marseille-Fos sets the path towards the maritime data-hub concept: a global digital gateway offering smart and reliable landing infrastructure for subsea cables. Globalization does not simply mean more ships; it also means more information flows. No wonder that data traffic is predicted to grow at a rate of 45% per year over the next decade. This dramatic increase in volume, along with the diversity of the content which is exchanged, requires upgraded interconnection infrastructure as well as data storage facilities. The port of Marseille-Fos is ready. The Port has announced the construction of new subsea cable landing infrastructure which will provide a reliable and convenient plug & play interface for subsea cables coming from all over the world to the Marseille area. The port will deliver the first phase of the dedicated infrastructure by Q3 2019, which can welcome up to six cables. A one-stop shop system within the French administration for permitting process will be implemented simultaneously in Marseille to facilitate applications. As we aim to offer a fully integrated landing solution to our clients, we are also building secure facilities tailored to accommodate the Power Feed Equipment of subsea cables. The Port of Marseille-Fos is now fully positioned as a maritime digital gateway. Not only is Marseille ideally positioned at the crossroads of Europe, Africa, Middle East and Asia, but we also benefit from a favourable seabed for this type of infrastructure. Connecting submarine cables through the Port of Marseille also makes sense given the current location of carrier-neutral data centres, both within and near the port area. This investment is yet another landmark in the development of the French Smart Port in the Med, a port that is always at the forefront of innovation in order to create value for the region in a digitalized world. 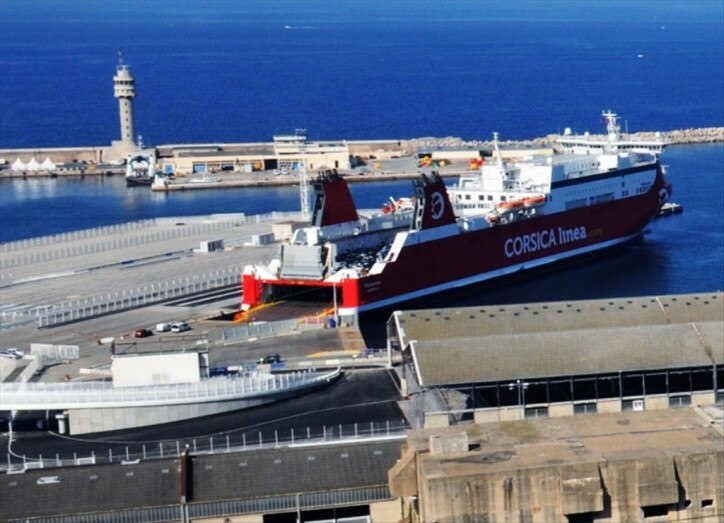 “Interxion welcomes this initiative from the Port of Marseille Fos, especially as two of Interxion’s data centres – MRS2 and MRS3 – are located within the port’s area. We share a common goal with the Port of Marseille Fos which is to foster Marseille’s attractiveness for international, national and local investors, help the whole territory to grow and reinforce the role of the city as a global-scale digital hub,” said Fabrice Coquio, Managing Director of Interxion France.